Big weekend between the top two teams in the conference only separated by 4 pts. Western Michigan is the hottest team in the country on a 10 game winning streak. Their last loss was 10Nov18 vs UNO 2-4. They are led by Maple Grove Soph Josh Passolt with 14 goals and 23 pts. His uncle Jeff played at SCSU. JAN 18 (FRI) 7:07 P.M.
JAN 19 (SAT) 6:07 P.M. HUGE Series, this is gonna be great! Dudes, the new deals for 2 games or 4 games of tickets are legit! Unlike the normal way the ticket office does ticket deal where they just select the "best available" seats the new deals let you choose your own seats, awesome deal as well as the tickets using the Four Game Power Play came out to 15 bucks a pop! 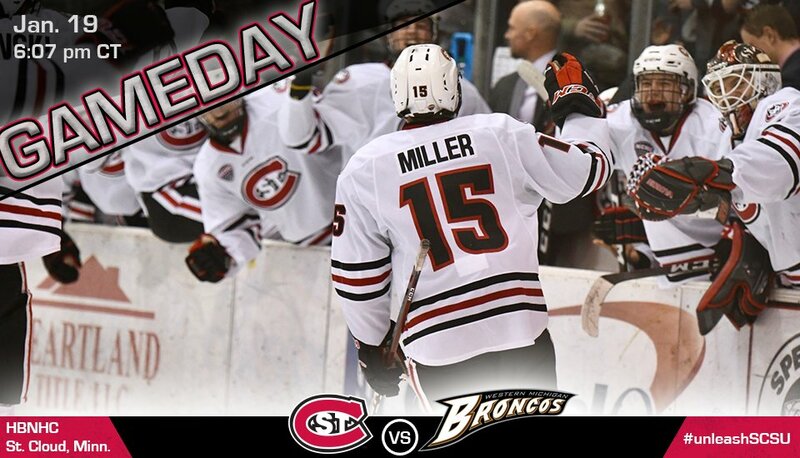 News and notes for the #2 @SCSUHUSKIES_MH - check them out today. Looks like Mick Hatten is a big part of Hockey Day Minnesota...interviews at 1 and 3:30 pm today. Can't wait for puck drop tonight, this Series is gonna be GREAT! David Hrenak with the 23 Save Shutout!!! Micah Miller netted his first collegiate Goal tonight as well! More Off the Ice with Robby J! While not as big of a deal I have a feeling that pile of Huskies in the crease will be remembered like the Nic Dowd ping to beat Notre Dame. I was lucky enough to be seated right on top of both those. Really impressed with the way Micah Miller has stepped up with the injuries to Fitzgerald and Benson, if Fitgerald can get a few games in and be back to 100% prior to the NCAA Tournament his injury might turn out to be a positive. Other then the fact it feels like we're wasting Nolan Walker on the 4th line I really like the lines we're playing right now. Hockey Day Minnesota has kicked off! "And the save of the game goes to.... all five Huskies standing in the blue!" Post-game presser - @SCSUHUSKIES_MH after victory over WMU on Jan. 18 in St. Cloud. Comments from Coach Larson, Nick Poehling and David Hrenak. Jan. 19 - 6:07 p.m. 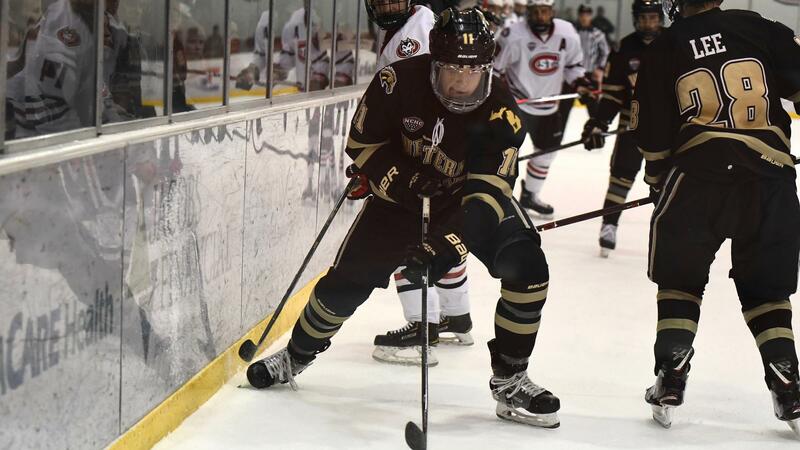 The Huskies beat WMU 5-3 to clinch the biggest Sweep of the season on Hockey Day Minnesota!!! !